Lock Pro is a local family owned and operated business, providing mobile locksmith services to residential and commercial clients in Logan and the surrounding areas since 2008. We put our customers’ safety and security above all else, and it shows in our work. There are few things that can make someone feel more frustrated, stressed out or powerless than being locked out of their own home, business or vehicle. 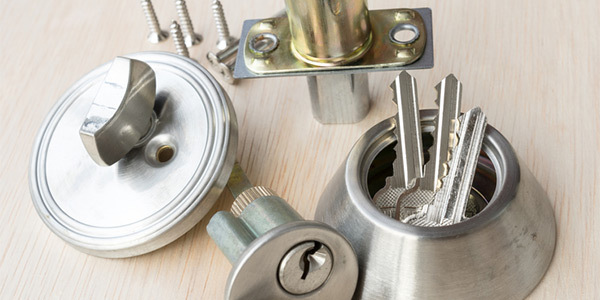 Fortunately, for those in need of a locksmith in Logan, UT, there is one business that offers quick, affordable, consistent and friendly services. That locksmith service is Lock Pro, and we have been serving the greater Logan area for over seven years. Our 24-hour emergency service ensures that we are able to always help our customers, and our license, bonding and insurance make us the most reliable and secure locksmith in town. We are proud to be a local family owned and operated business in the Logan, UT area. We have been in business for seven years, and have gained invaluable experience during that time. We offer a wide range of locksmith services, as well as roadside assistance services. We are certified installers of the August Smart Lock. "I highly recommend Scott Hofler. My wife and I locked out keys in the car while on vacation with our family. On Saturday morning on a holi..."
"Scott is amazing. I needed to get into my storage but left my keys in Seattle. I found the number for Lock Pro on the internet called an..."
"Scott Hofler replied to my service request immediately. He was prompt, helpful, and did a great job. I really appreciated that he was detail..."
Call Lock Pro today for fast, friendly, affordable and reliable service. We look forward to hearing from you.